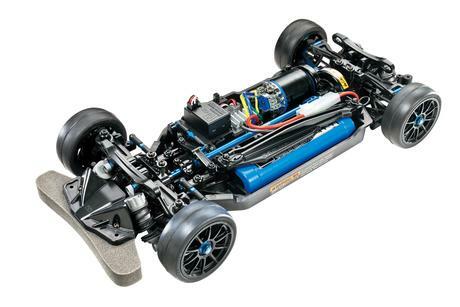 •	Shaft-driven 4WD R/C chassis assembly kit. 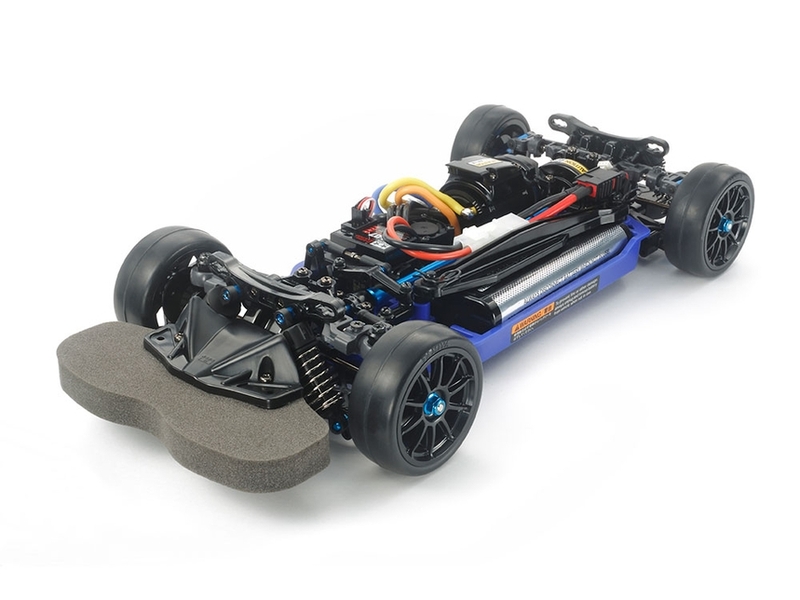 Length: 376mm, width: 182/190mm (selectable), wheelbase: 251/257mm (selectable). 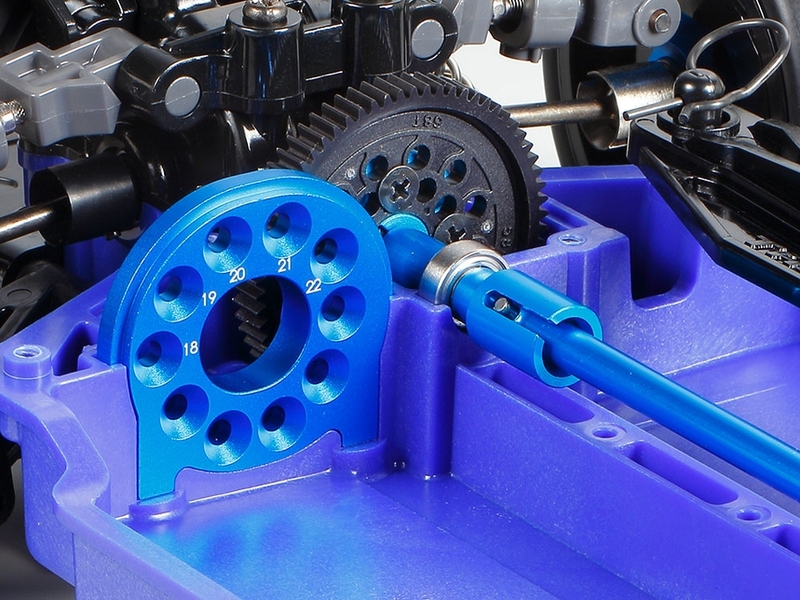 •	Includes hard lower deck component molded in blue. 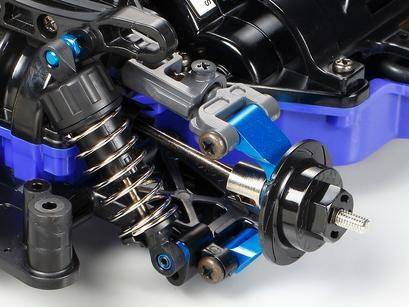 •	Includes full ball bearings, aluminum propeller shaft and joint components, plus oil-filled gear differential units. 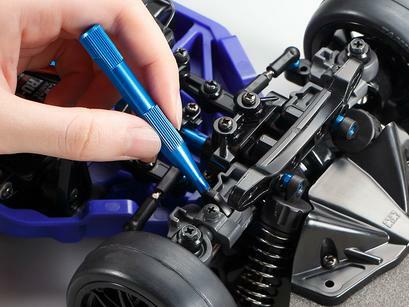 •	Includes high speed gear set to allow for faster gear ratio settings. •	Blue anodized aluminum uprights give 3 degrees of toe-in to improve control and corner stability compared to standard TT-02 kit parts. •	4-wheel double wishbone suspension with CVA oil dampers. •	Includes racing slick tires. •	Compatible with TT-02, TT-01 and TT-01 Type-E bodies. 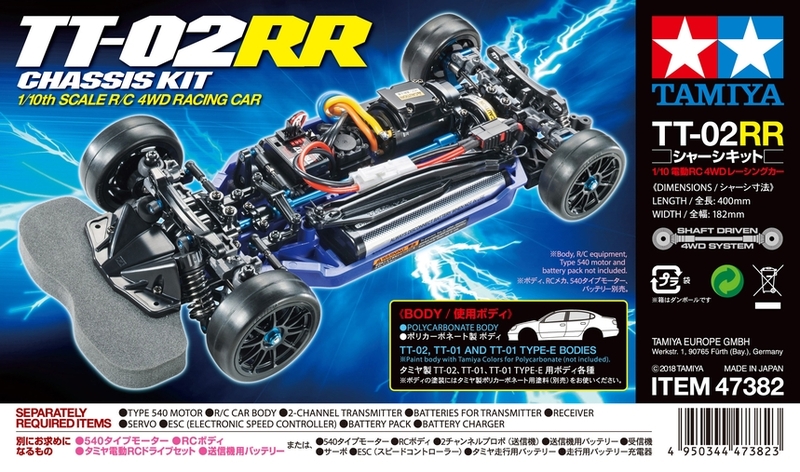 •	Requires: 2-Channel Radio, servo, ESC (electronic speed control) 7.2volt battery pack & charger, 190mm on-road body, and Tamiya PS paint. Requires A Requires: 2-Channel Radio, servo, ESC (electronic speed control) 7.2volt battery pack & charger, 190mm on-road body, and Tamiya PS paint.